Visit us to know more ! Sometimes it’s interesting to stop for a moment and delight in the technological progress made to date. 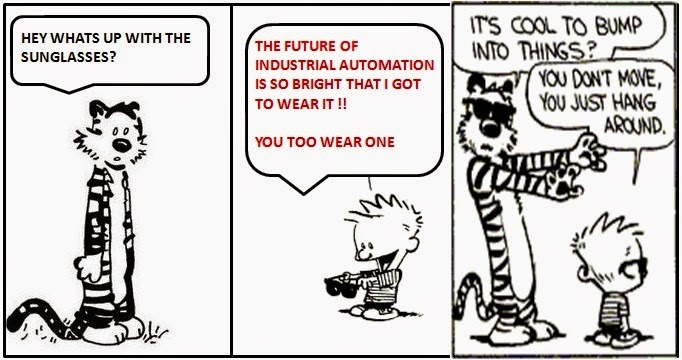 Industrial Automation is one such. Industrial automation is the use of robotic devices to complete manufacturing tasks. In this day and age of computers, it is becoming increasingly important in the manufacturing process, because computerized or robotic machines are capable of handling repetitive tasks quickly and efficiently. Machines used in this field are also capable of completing mundane tasks that are not desirable to workers. As for automation technologies themselves, I believe the biggest changes in the industry have occurred in almost all fields. Machine-to-machine communication, cyber-physical systems and the factory of tomorrow are now more than buzzwords. The circles of automation technology are expanding more and more. New fields of industry, energy, economy and daily life are being automated. The borders have become blurred and suddenly we’re surrounded by automation technology without noticing it. You don’t have to be a prophet to forecast a great and successful future for the automation industry. The success story continues, and it will remain exciting to take an active part in it. This blog is an initiative to provide limelight in the area of Industrial automation. Hindustan Automation Solutions would be glad to bridge you to the automation world. Greetings from Hindustan Automation Solutions! We are Chennai based leading training providers on INDUSTRIAL AUTOMATION courses for B.E/B.TECH/Diploma students. Hindustan Automation Solutions provide an array of automation training all under one roof!